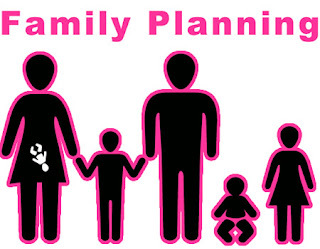 Following fears of projection that Nigeria would become the world’s third most populous nation by 2050, stakeholders have counselled Federal Government to take the issue of family planning seriously, saying it is critical to controlling the rising country’s population. The stakeholders, mainly experts in family planning also reiterated that increase in the uptake of family planning remains a sure-way of reducing poverty and maternal deaths. They have therefore urged governments at all levels to invest in family planning by making the commodities free and available to the people and to also, ensure that barriers to family planning services were removed. The experts made the call at a Contraceptive Technical Updates (CTUs) for policy makers organised by the Nigerian Urban Reproductive Health Initiative (NURHI) II in Lagos, recently. They stressed that there is need to curb the rising Nigeria’s population which does not match available resources and infrastructures in place. In view of this, couples have been enjoined to embrace family planning in order to have only the number of children that they can cater for. Giving the current economic realities, the experts confirmed that couples with many children now find it difficult to provide essential needs of their children such as good nutrition, quality education, adequate clothing, quality health care and shelter. While counselling Federal Government to take the issue of family planning seriously, they noted that the method leads to desired family size, breaks circle of poverty and promotes quality of life. Nigeria is said to have the seventh largest population in the world and has fertility rate of 5.5, meaning an average family in the productive stage will have five or six children. Statistics from the Federal Ministry of Health (FMOH) showed that the use of family planning commodities had curbed over three million unwanted pregnancies, while at the same time averting over 19,000 maternal deaths between 2011 and 2017. Nigeria currently contributes 10 per cent to the world’s maternal deaths which experts say was totally unacceptable. Dr. Omasanjuwa Edun, Lagos State Team Leader for NURHI, in his remarks, assured that family planning would help people in the society get out of poverty and lead a good life. For Nigeria to achieve its 36 per cent target of Contraceptive Prevalence Rate (CPR) by 2020, Omasanjuwa emphasised the need for government to invest in family planning, considering its numerous benefits in the lives of women and children. He also implored policy makers to bring the issues of family planning to the front burner. He urged stakeholders to prioritise adoption of family planning by couples, which, according to him, has potentials to reducing high rate of maternal deaths in the country by 30 per cent. Listing the various steps needed to move the uptake of family planning forward, Olawumi said it has become imperative for government to increase budget line for family planning in Local Government Areas (LGAs). She added that increase and timely release of fund for family planning will make consumables available and also prevent stock out. Olawumi stated that for some time now, NURHI has been in the forefront of advocacy on the need for government, lawmakers and other relevant stakeholders to pay more attention to the issue of family planning and how it can improve maternal health and also reduce the country’s high maternal deaths. She called on traditional, religious, policy makers and community leaders to be part of the family planning/child spacing campaign and funding in order to accelerate uptake. According to her, the time has come for all hands to be on deck to improve family planning services in the country to enable it achieve the Sustainable Development Goals SDGs) by 2030. Responding, Director, Family Health and Nutrition, Lagos State Ministry of Health, represented by State Reproductive Health Coordinator, Dr. Saidat Okaga, said the Lagos State government was committed to family planning and was also working towards increasing its CPR from 48 per cent to 74 per cent by 2018.